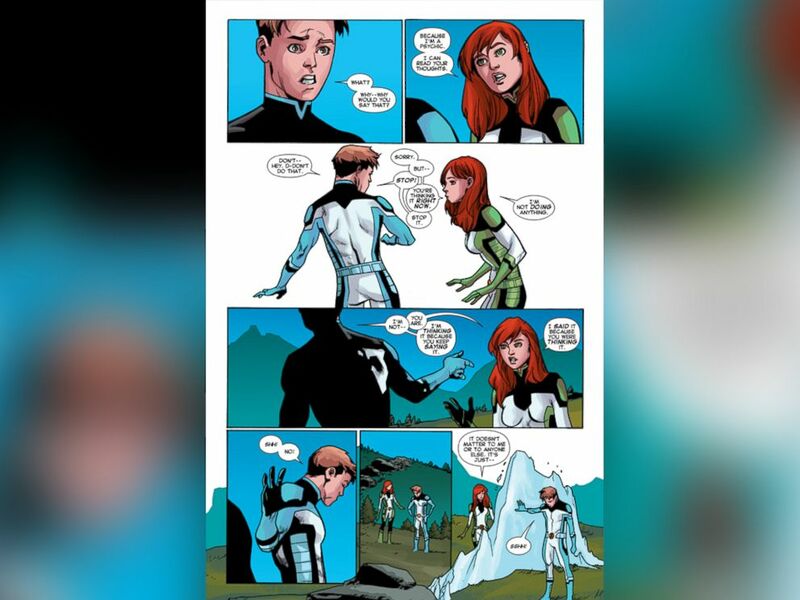 Original X-Men member Iceman comes out as gay in newest issue of the "All New X-Men #40." An "X-Men" legend has come out of the closet. 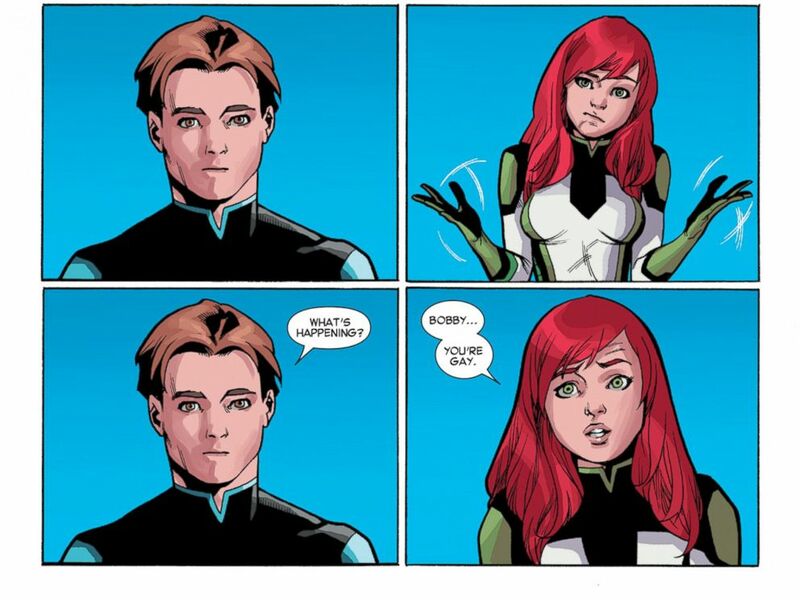 In the "All-New X-Men" #40, set to debut in stores and online tomorrow, Iceman says he's gay. In the scene in the book, Jean Grey is talking with her friend Iceman aka Bobby Drake. The series features the "X-Men" back as teens displaced in time. (Note - The characters know they are set back in time and have traveled forward to talk their older selves.) In images obtained by ABC News from Marvel, Iceman is talking about his teacher Magik and saying how hot he thinks she is. That's when Jean steps in to let her friend know she knows he's gay and doesn't care. She asks why Bobby is saying another woman is hot, when she knows he doesn't like them in that way. "Bobby ... you're gay," she says. After more conversation, where Jean points out she can read minds, Bobby finally says "I know." Jean also says, "It doesn't matter to me or anyone else." Iceman is one of the original "X-Men" and has been a team icon since 1963. In the past 50 years, the comics have never fully addressed Iceman's sexuality until now. The book also addresses the fact that there is a current-day Iceman that is not out of the closet and that he's dated women. "Not well," Jean quips back. The two characters hug and the story moves on. The Walt Disney Co. owns Marvel and ABC. i swear on my dogs, i wanted the issue to come out and just be. no press. no sensational headlines. no leaks. oh, well.